Priest's Last Words: "I Forgive You"
The last words of Father Mariano Arroyo Merino expressed his forgiveness for the would-be robbers who knifed and burned him. 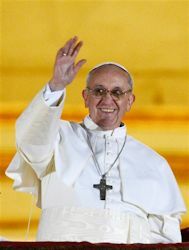 The Spanish priest, 74, was murdered July 13 at his parish of Our Lady of Regla, in Havana, Cuba. Father Arroyo was the second Spanish priest to be assassinated in Cuba in less than a year. 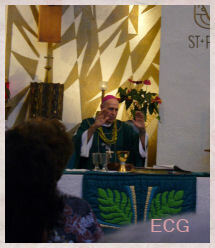 Father Eduardo de la Fuente Serrano, 59, was killed Feb. 14. 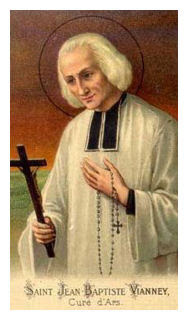 150th Anniversary of the Feast Day of St. John Vianney, Patron Saint of Priests. The following is self explanatory. Please Mark your calendars to join us... you may like to email me back your spiritual bouquet and pledges and also collect more pledges from your parish / lay ministries for Year For Priests. As each of us is "King, prophet and priest" we need to initiate and be active for the Body of Christ. Serra Club of Honolulu recognizes that we are all busy people and yet our synergy for our Church leaders will help to strengthen us for the work we have to do in spreading the gospel. All Catholics (both laity, consecrated clergy and religious) are invited to a Celebration of the Year For Priests as declared by Our Holy Father, Pope Benedict XVI beginning June 19 2009 to June 19, 2010. We would like to begin by inviting as many priests and laity as possible to take advantage of our Holy Father Pope Benedict XVI offer of Plenary Indulgences for the 150th Anniversary of the Feast Day of St. John Vianney, Patron Saint of Priests. 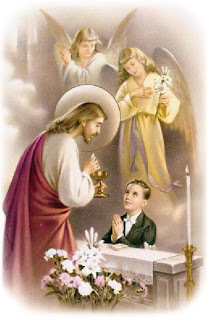 On Aug. 4th, Plenary Indulgences will be given to the laity for prayerful participation at Holy Mass, Confessions and devout prayers & good works in accordance with the intentions of the pontiff. 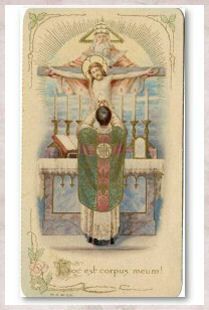 This invitation is to all priests and the faithful to come together in prayerful celebration of the Year For Priests. 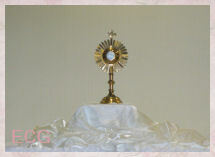 ~ 6:30 p.m. Holy Mass (Main Celebrant Fr. Peter Dumag) Concelebrants welcomed. ~ Social and Refreshments after mass. 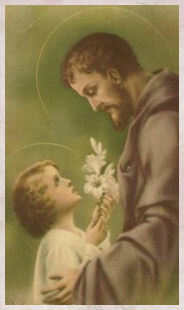 Spiritual Bouquet ~ We are inviting you to make a list of masses, rosaries, and other devotions offered for priests for this year. You may present your spiritual bouquet for priests and seminarians who will be present at this event. 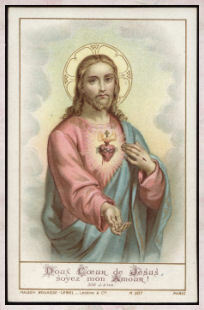 Partial Indulgence is granted to all the faithful within this year every time they devoutly recite five Our Fathers, Hail Marys and Glorias, or another expressly approved prayer, in honor of the Sacred Heart of Jesus, to obtain that priests be preserved in purity and holiness of life. I received the following email from a friend. 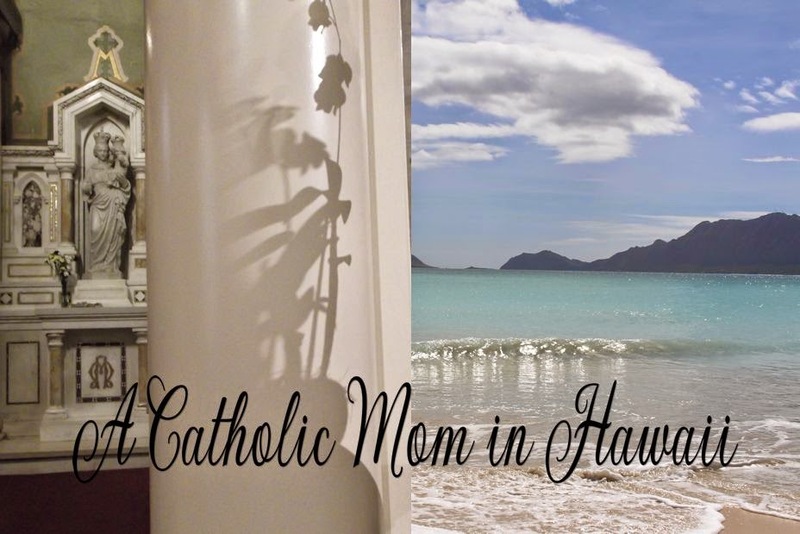 Yesterday, I posted about local Catholic events to honor God our Father. In Paterson, NJ, St. Stephen's parish as a whole is also doing the novena in honor of God our Father and it will end with a celebration Mass on the Feast Day. 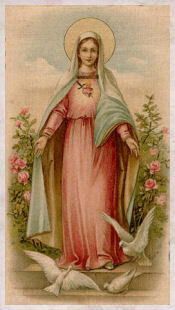 The novena is shared below. Is there any way in which we could ever totally thank Our Father in heaven for His immense love and mercy and the abundant graces and blessings He pours out on each one of us every day of our lives ???? NO, but we could try !!!!!! 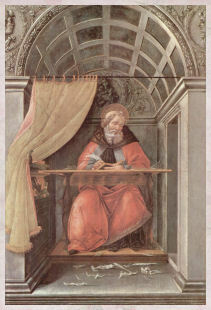 The best way in which we could express our gratitude and reciprocate in some way the love of our Creator would be to honour Him on His feast day. Everyone has a birthday, a feast day, an anniversary, a special memorable occasion, but our Abba has just one day - the 1st Sunday of August which He has set apart as His Feast day. Let us then prepare for this great Feast of our Heavenly Father by making a Novena in His honour and surrendering ourselves to Him totally and unconditionally, and by allowing Him to work in us, with us and through us, to spread His message of love, peace and joy. 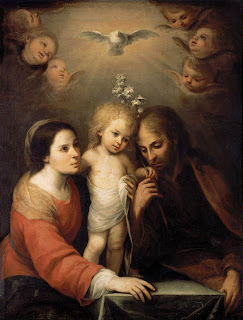 Please make this novena with your family members and let Him be the Lord of your homes Who guides our minds, hearts, and lives as we surrender our will into His Loving Hands. A prayer found in the English edition of L'Osservatore Romano for the current Year of the Priest, 2009i-2010. "Queen of Apostles and Help of Priests." 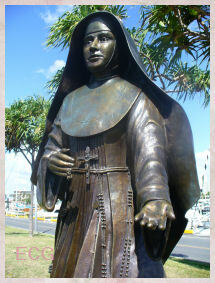 O "Mother, Help of the Christian People." you who "are inseparably linked to the work of salvation." so that as "we celebrate the Holy Mass you will be present with us"
and introduce us to the redemptive mystery of your divine Son's offering. 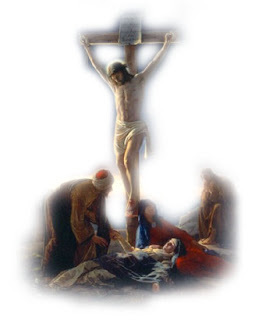 and to all the faithful,"
O "Mother of Our Savior." 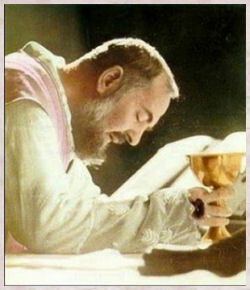 so that you may bring me to that "conformation with Christ, Head and Shepherd"
that "you are always close to priests"
"Benefactress and Mediatrix" of all graces. Thank you Fr. Vince I. Sometimes, the best sermon is a silent sermon. St. Francis reminds us: Preach the Gospel, sometimes use words. A member of a certain church, who previously had been attending services regularly, suddenly stopped coming to church. After a few weeks, the Pastor decided to visit. The Pastor found the man at home alone, sitting before a blazing fire. Guessing the reason for his Pastor's visit, the man welcomed him, led him to a comfortable chair near the fireplace and waited. The pastor made himself at home but said nothing. In the grave silence, he contemplated the dance of the flames around the burning logs. After some minutes, the Pastor took the fire tongs, carefully picked up a brightly burning ember and placed it to one side of the hearth all alone. Then he sat back in his chair, still silent. The host watched all this in quiet contemplation. As the one lone ember's flame flickered and diminished, there was a momentary glow and then its fire was no more. Soon it was cold and lifeless. The Pastor glanced at his watch and realized it was time to leave, he slowly stood up, picked up the cold, dead ember and placed it back in the middle of the fire. Immediately it began to glow, once more with the light and warmth of the burning coals around it. We live in a world today which tries to say too much with too little. Consequently, few listen. Sometimes the best sermons are the ones left unspoken. Thank you Fr. Vince I. for sharing. 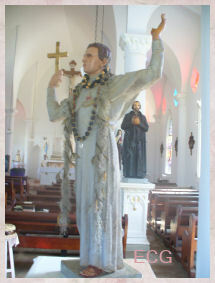 Saint Jean Vianney, pray for us. 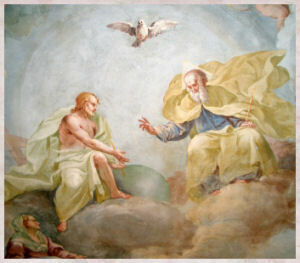 5) Be completely detached from all sin, even venial sin. This is also a great opportunity for the laity to offer these indulgences for the deceased priests of their diocese who are suffering the most in purgatory, as well as an opportunity to spiritually support the priests of their parish and diocese, those both living and deceased. Thanks to Our Lady of Fatima Rosary Calendar for the above information. 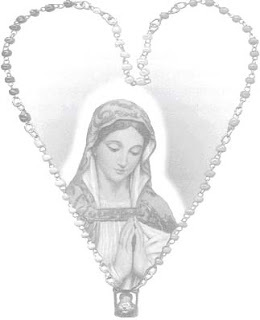 Please consider praying this Patriotic Rosary for the United States of America. There are fifty states in the USA - and fifty Hail Mary's on the big loop of beads - so let each bead be a Hail Mary for one of the states. Fifty beads and Fifty states. Just like the beads would all fall on the floor and be scattered without the one loop holding them together - so it is with the US - without prayer and without God holding us together we too will split and fall apart and be scattered. May God save us. 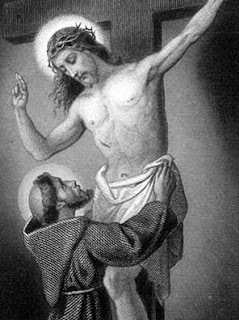 Oh, my Jesus, forgive us our sins; Save us from the fires of hell; Lead all souls to Heaven, Especially those in most need of Thy Mercy.